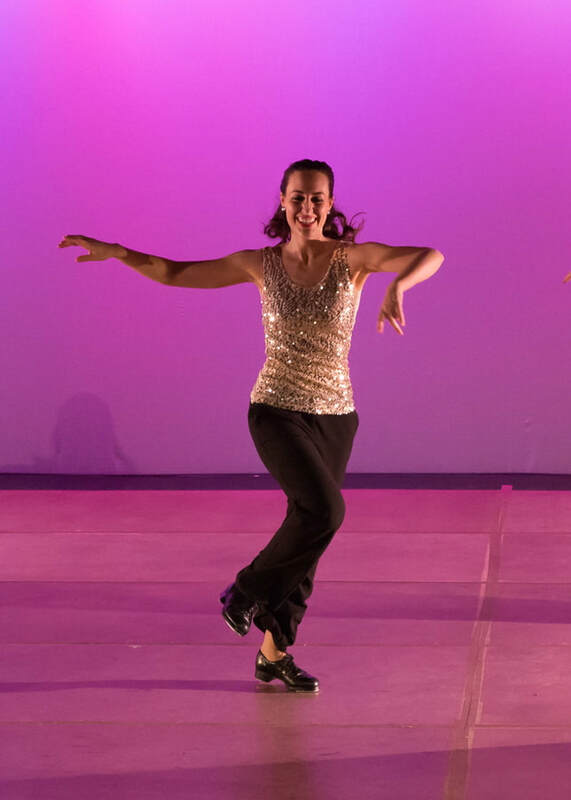 Kimberly Davidow began tap dancing at the age of three while attending Jane Lopoten School of Dance. She has received additional training in lyrical, modern, ballet, hip hop and jazz. Her teachers include Leah Melling DeCesare, Kristine Izak, Johanna Wood, and Jane Lopten. Kimberly has also taken several master classes with the Radio City Rockettes. Kimberly attended DeSales University for two semesters where she performed in Crazy for You as Shella/Socialite in their Act 1 Theatre program. Kimberly completed her BA in Mass Media Communication at LaSalle University where she's had the privilege of working in television as a news reporter, earning two Mid-Atlantic Regional Emmy Award nominations and received recognition from the Pennsylvania Associated Press. She is also a certified vinyasa yoga instructor. This is Kimberly's fourth season with The Lady Hoofers.